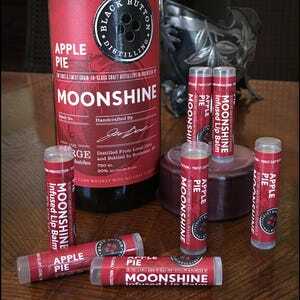 Made with a reduction of Bespoke Bourbon Cream and Apple Pie Moonshine from Black Button Distilling, Rochester, New York. 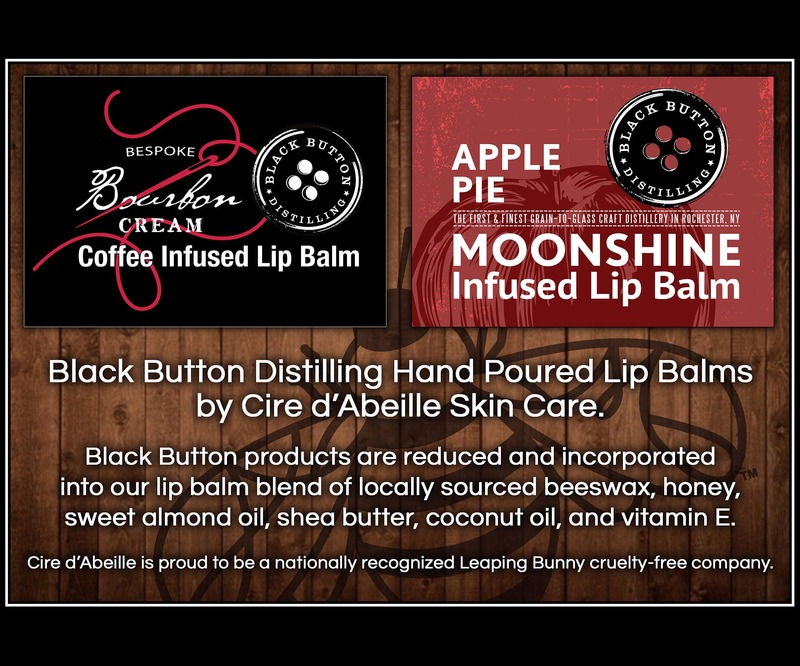 Cire d'Abeille balms put a protective, moisturizing barrier on your lips. 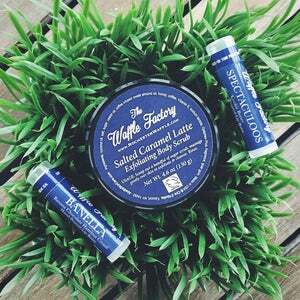 Our balms go on smooth and stay on long due to premium ingredients including locally sourced beeswax, shea butter, sweet almond oil, coconut oil and castor oil. 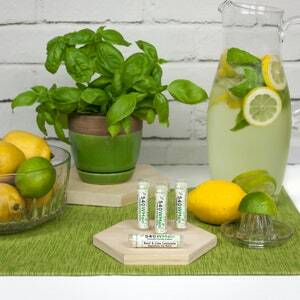 Our lip balms are the perfect formula to moisturize and protect your lips. Beeswax is an all natural sustainable resource. Because beeswax is biologically active even after processing, it has both anti-bacterial properties and skin-friendly antioxidants. 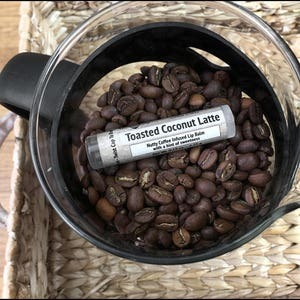 Ingredients: beeswax, coconut oil, shea butter, coffee infused sweet almond oil, liquor reduction, castor oil, Vitamin E, vanilla, flavor, and stevia. Ingredients: beeswax, coconut oil, shea butter, sweet almond oil, castor oil, moonshine reduction, Vitamin E, flavor, cinnamon, and stevia. 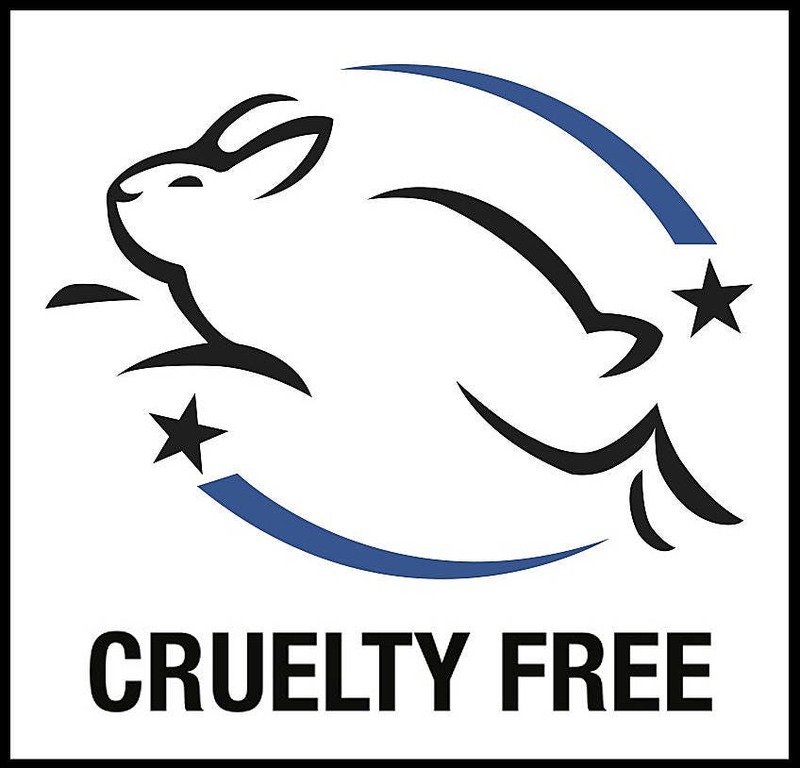 Cire d'Abeille® does not test on animals and is proud to carry the Leaping Bunny® Cruelty-Free accredited logo. Gluten Free.